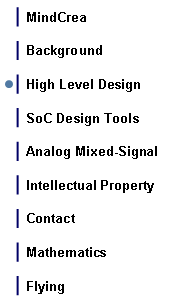 MindCrea Ltd represents the latest technology ESL, EDA, IP and SoC companies. Al-Khwārizmī, a Persian astronomer and mathematician is considered to be the father of algebra. In A.D. 820 he wrote a book Algebra, being the first writing on systematic solutions of linear and quadratic equations. Interesting enough, his essays On Calculation with Hindu Numerals written in 825 were translated to Latin in the 12th century as Algoritmi de numero Indorum, where the word Algoritmi was maybe a careless interpretation of Al-Khwārizmī’s name, but became the synonym to the solutions of equations and mathematically represented problems. 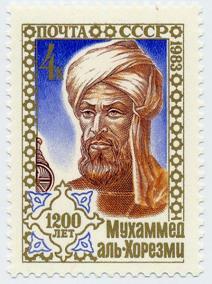 Picture of stamp issued by Soviet Union in 1983, 1200 years since his birth.